Designed specifically for the poultry industry. 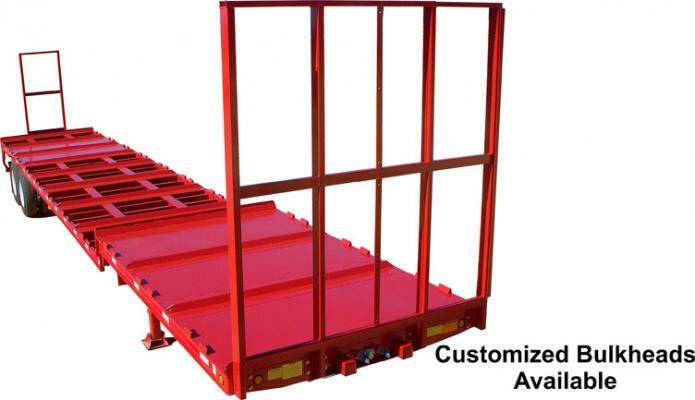 The CW-1000 model includes: Additional web stiffeners, 15″ crossmember spacing, 3/16″ formed angles with return flanges for additional strength, 4″ x 4″ square tubing glad hand protectors and additional X bracing. These features come together to make the toughest Viking poultry special trailer available. Front and rear bulkheads provide added security for cage movement and panels can be added to block direct wind during transportation. Easy loading, easy cleaning, and safely transporting more product from the farm. Capacity: 80,000 lb. GVWR. 24” Fabricated main beams with 2” camber, 1/2” x 6” top and bottom flanges in the rear portion of the trailer with 1/4″ web welded on both sides. 1/2″ x 6″ Top flange and 5/8″ x 5″ bottom flange in the neck. all flange and web material is high strength steel. 4” x 3.2# Jr. I beam on 26” centers. Formed angles on top of the main beams and siderails serve as cage nesting device and provide a 4-3/4” air space between cages. 6” x 8.2# (Inverted) structural channel. Two nesting devices between each formed angle. 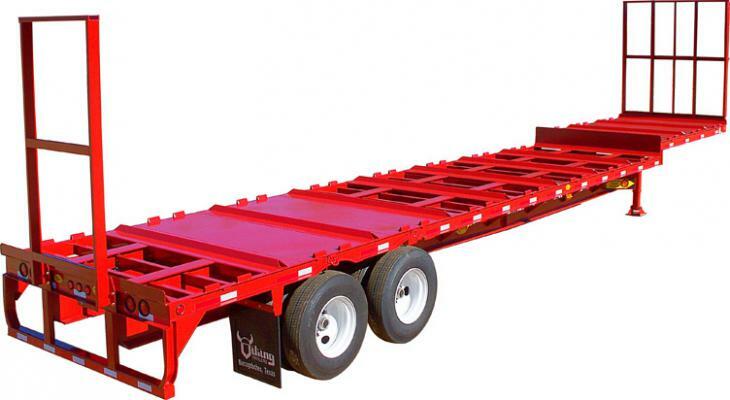 Poultry special trailers are shotblasted and primed with zinc-rich primer and top coated with a high solid polyurethane paint. Colors: black, red or cat yellow (standard). 10 ga. Steel is standard over the kingpin and tandem areas only. 105” Tandem setting from the rear of the trailer with 49” axle spacing. Optional settings are available. 3/4” Tie bar located under the crossmembers running the full length of the trailer for chain and binder attachment. D.O.T. certified rear under ride guard/bumper and high visibility reflective conspicuity tape. Contact a sales representative for more options to meet your specific needs!